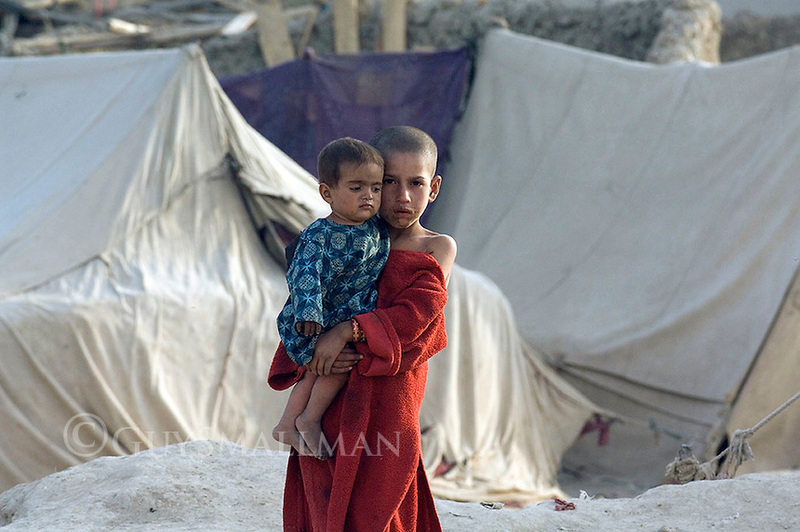 Refugee camp in South West Kabul Afghanistan near Charah Qambar. The refugees were from the Kandahar and Helmund provinces of Afghanistan. They had fled the fighting between the Taleban and Nato forces.